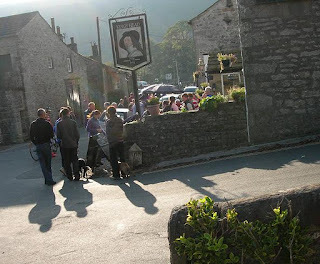 Dark Peak Fell Runners were the winners of the 23rd UKA British Fell and Hill Relay championships. Not the Dark Peak runners we are normally used to seeing on the fells, week in, week out, but a younger, faster breed of Dark Peaker; a kind of 'Dark Peak Light'. Leg 1 - Rob Little (1984) - 16th at the Stretton Hills English Championship Race in 2009. Leg 2 - Rob Baker (1978) and Oli Johnson (1978) - Rob was 10th at the Stretton Hills race in 2009 and 7th at this year's Snowdon Race, Oli was 2nd at Langdale Horseshoe last weekend. 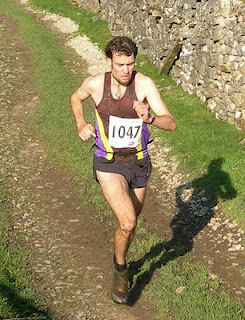 Leg 3 - John Rocke (1988) and Rhys Findlay-Robinson (1986) - John was 2nd at Andi Jones' Gravy Pud race in 2009, Rhys has been a regular feature in Lakeland Classics and Fell Championships now living in Cumbria. Leg 4 - Lloyd Taggart, this year's English Open and V40 Champion and 2nd in the British Open and V40 champion. Dark Peak Light won fastest leg times on all but one of the four legs of the relay. Leg 1 - Rob Little was 7 seconds ahead of Mercia's Tim Davies (last year's British Champion) in 33:45. Leg 4 - Lloyd Taggart was joint 3rd fastest with Mercia's Simon Bailey with 39:16 behind Murray Strain (Hunter's Bog Trotters) 37:43 and Morgan Donnelly (Borrowdale) 38:05. 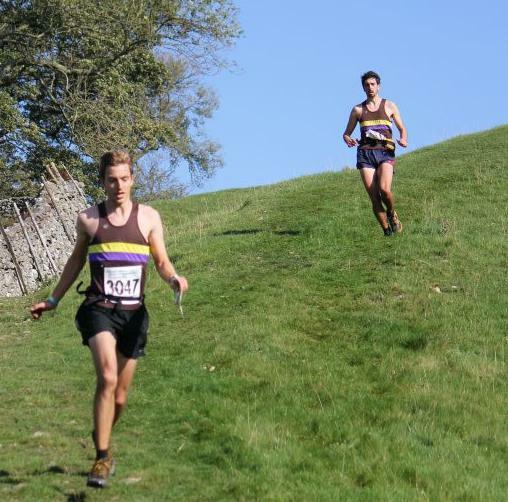 Is it that Dark Peak Light train harder, are fitter or were simply better runners than the rest of the field on Saturday? FRB spoke to the winning team in a quiet pub in Kettlewell on Saturday night and asked them "What's your secret?" DPL "Well it's all in the act of the 'dib'." FRB "Really - the dib?" DPL " Yes, that's what I said. Look how many times you had to 'dib' in this race, you had to dib once in Leg 1, three times in Leg 2, God knows how many times in Leg 3 and once in Leg 4. You even had to dib to get into the starting pen. We're all orienteers, and we've built dibbing practise into our everyday training regime. FRB "So you can dib quicker than the fell runners because of your orienteering backgrounds?" DPL " Yes - really, are you stupid or something? We can dib on average five seconds quicker than a fell runner; look at the stats; Leg 1, 7 seconds ahead (one dib) Leg 2, 11 seconds ahead (three dibs) Leg 3 well there were so many dibs we lost count but you can see what an advantage we got over the others so there must have been loads of dibs." FRB "But Lloyd isn't an orienteer." DPL "Well none of the others wanted Lloydy on their team, so we agreed to have him on ours and tried to teach him how to dib, only he didn't get the hang of it, so we put him on the last leg where we thought he could do the least damage - fortunately he didnt mess it up too much for us." FRB "Well thanks for that boys, that's really interesting - do you mind if I publish it?" Could FRB just add that no Dark Peak Runners were harmed or even consulted in the making of this article and it has all been completely made up by Fell Running Briefs.